Here are teasers of what is expected this week on Iron Lady showing Monday to Sunday, November 5- 11 on Zee World. Rishi plans to spend special time with Indira to bring her memory back, but upon the hearing of a certain song, Indira seems to lose it. A new memory of her life after Rishi begins to come back, a life which may shock Rishi. As events turn out, Kabir and Rishi end up meeting. Left with no other choice but to join forces for the sake of saving their daughters lives, Kabir and Rishi fight through the armed forces of Pakistan. But what of the fight for Husna? Back home in Delhi, Rishi seeks to tell his family the news of “Sahib”. Unbeknown to him, Kabir has been the "Sahib" the whole time. Kabir is now making his way through Delhi, however he realises he has to pay Rishi one more visit. 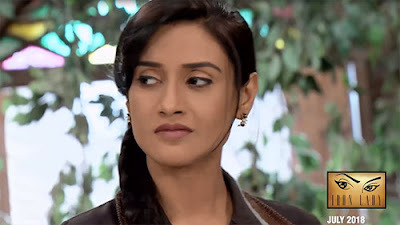 Rishi is dead set against letting Kabir find his Husna, who is actually Indira. Fearing that he may lose Indira to Kabir, Rishi tries all means to get Kabir out of his house. But what will happen once Indira sees Kabir? Premiere episodes of Iron Lady air on Zee World from Mondays to Sundays at 18h00.